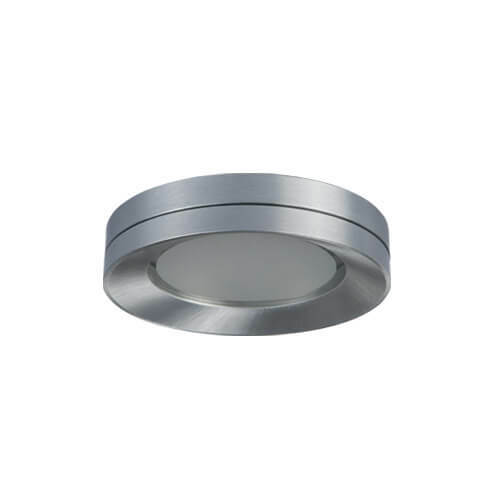 Series of false-ceiling recessed downlights. It is made of anodized brushed aluminum. It comes in round fixed version with a sandblasted glass cover. 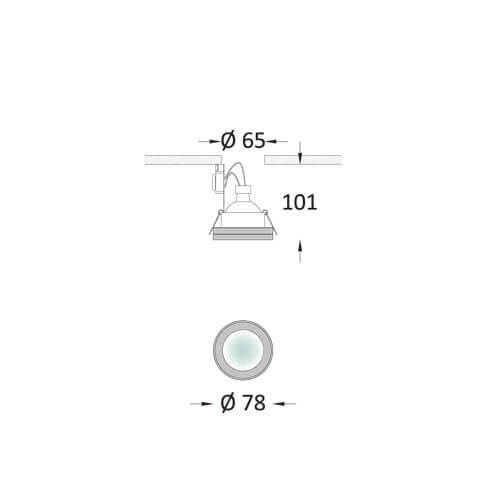 The lamp is placed deep inside the fixture. It is waterproof (IP44) with use of silicon gaskets. It is available with 12V socket for halogen and led lamps or led module.